The Spaniard, his world number one ranking still safe, said the trouble was the familiar tendinitis he's dealt with for a decade -- unpredictable but not career-threatening. 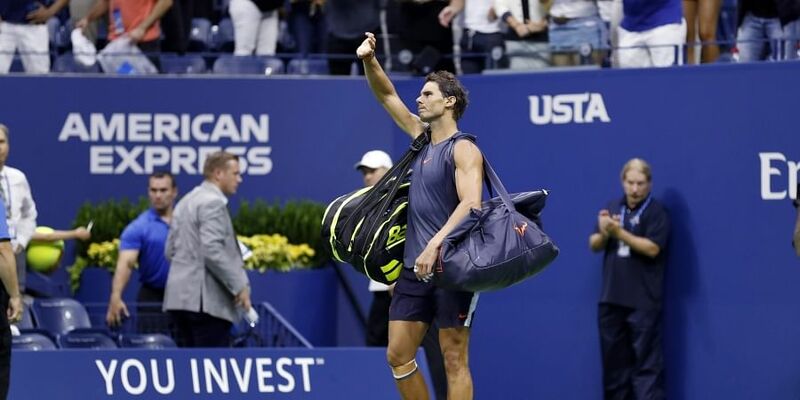 NEW YORK: Devastated Rafael Nadal vowed the knee injury that forced him out of the US Open semi-finals on Friday won't stop him chasing more Grand Slam glory. "It's not about losing, it's about not having the chance to fight for it," he said. "I'm having two great years," added Nadal, who was trying to complete a French Open-US Open double for the second straight season. "Last year was a fantastic year. This year has been a fantastic year until this moment. I lost four matches. Two of them I had to retire." The frustration isn't new for Nadal. "I feel that I fought all my career against these kind of things too," added the 32-year-old, who has missed at least eight Grand Slams due to injury since his major debut at Wimbledon in 2003. That hasn't stopped him amassing 17 Grand Slam titles, three short of Swiss great Roger Federer's record 20. "It's tough, these moments, but on the other hand I'm going to keep going and I'm going to keep working hard to keep having opportunities." Nadal's injuries have run the gamut, from the start of his elite career. He's nursed foot, back and wrist injuries, adductor and abdominal trouble. And through it all the tendninits in his knees has periodically slowed him. "All my career everybody said that because of my style, I will have a short career," he noted. "I'm still here. "I'm still here because I love what I am doing. I still have the passion for the game. "I'm going to keep fighting and working hard to keep enjoying this tour and keep having chances to compete at the highest level. So that's all."